Gorey parkrun is a FREE weekly 5km event for runners of all standards, which takes place every Saturday at 9:30am in Gorey Park & Showgrounds, Fort Road, Gorey, Co Wexford. It is not a race against other runners, but a 5k timed run and it can really be whatever you want it to be, whether that's for fun or as part of a training plan. Every week we grab a post parkrun coffee at Insomnia Coffee, Dunnes Stores Shopping Centre - please come and join us! Maybe swap stories about your run that day, chat to other runners over a cup of tea or coffee and just be an important part of this new running community. Sports Active Wexford: Wexford County Council and Sports Active Wexford are delighted to support the parkrun initiative, in welcoming our third parkrun in Gorey Town Park. 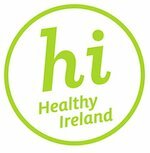 The importance of enabling local people to access this international event meets the healthy Ireland Drive on getting people out there as a community to improve their well being. Wexford County Council and Sports Active see this initiative as a great step in meeting their Strategic goals under the Local Economic and Community plan 2016-2021, launched ?this year in ?Supporting and promoting the development of socially inclusive, sustainable communities in County Wexford and ensure that all citizens enjoy optimal health and wellbeing. We wish the Community group all the best in developing the parkrun.